My latest guilty pleasure is Jewish fiction. It used to be trashy romance novels. I am currently making my way through most of Naomi Ragen’s books. 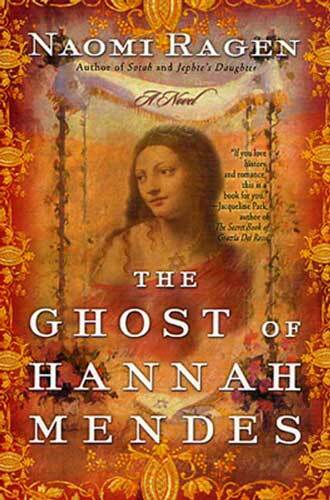 Right off the bat, I noticed that “The Ghost of Hannah Mendes“ was different than her other books. It didn’t focus on the religious community or on Israel. It focused, instead, on the Spain, the bonds of Sephardic families and the damage the Inquisition and (and later the Holocaust) did to Sephardic Jewry. It was a fictional account but I learned so much, enough to look up the nonfiction sources the author used to write her vivid novel. I was floored by the little tidbits the author shared of the experience of Sephardic Jews during the Holocaust. Why hadn’t I ever heard of the Sephardic experience during the Holocaust? Was it just my own ignorance or more? So you imagine my surprise to hear the story of the Holocaust told from the Sephardic point-of-view in The Jerusalem Post. In ‘It’s time they knew our names’ Stacey Menchel profiles Stella Levi, a Sephardic survivor. It is a powerful, moving portrayal of one woman’s struggles as much as it is a portrayal of an ugly divisiveness that still rings true in the Jewish community today. Tomorrow is Yom Hashoah, Holocaust Rememberance Day, and I will not forget Stella Levi.